A Day In SG: Tablet getting bigger and better by the day! 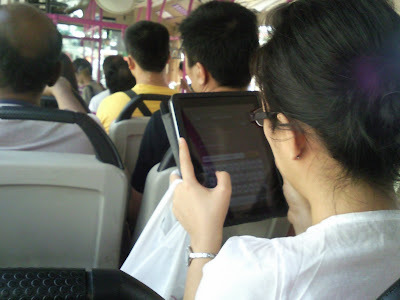 The other day jus seen one China lady on Sbs 240 playing some kind of word games on her tablet. Time to get rid of all our newspapers and magazines. Everything seems to be going digital.